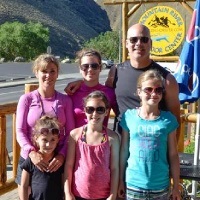 Treat your family to a 6 Day wilderness adventure vacation the Main Salmon River combines great white water rafting, history, hiking, wildlife, hot spring along with white sand beaches and relaxing camp sites surrounded by spectacular canyon views. 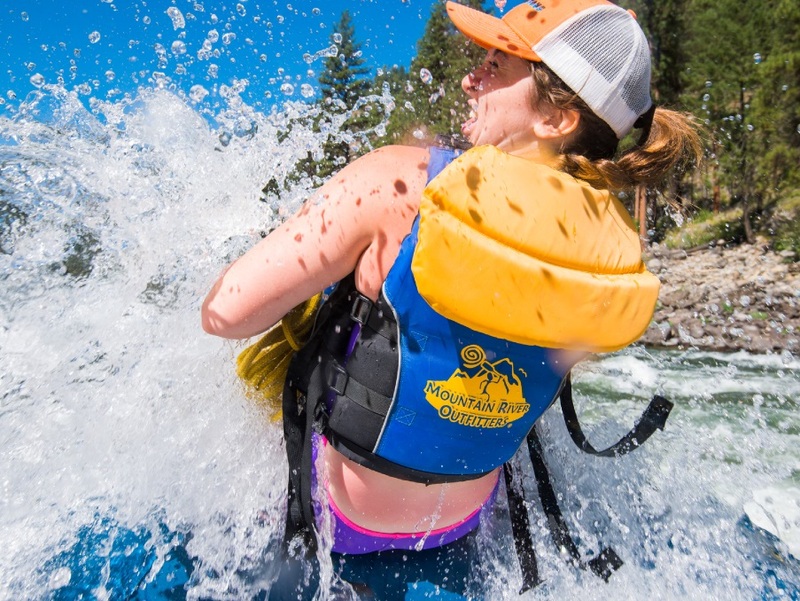 This raft trip is packed full of natural wonders and history in the 2nd deepest canyon in North America, it truly lives up to it's fame of being Idaho's premier river trip. 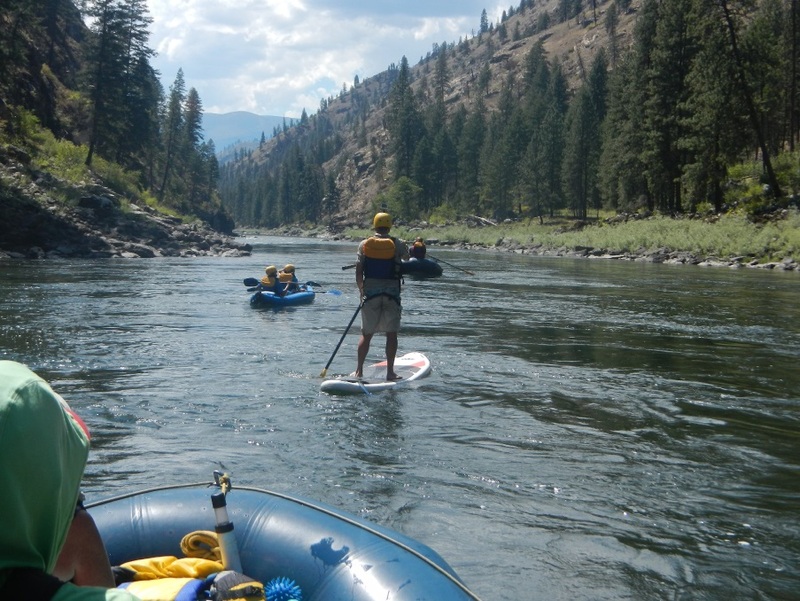 This 80+ mile journey down the Salmon River in the heart of the Frank Church “River Of No Return” Wilderness offers exceptional views, comfortable water temperatures and rich Idaho history retold by our knowledgeable guides. Some will find it hard to put the water gun down or stay out of the river when the temperature boasts a welcoming 70°! 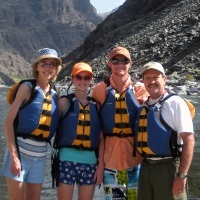 Many will opt to sit back, relax, and take in the beauty of the forested canyons and high granite walls. 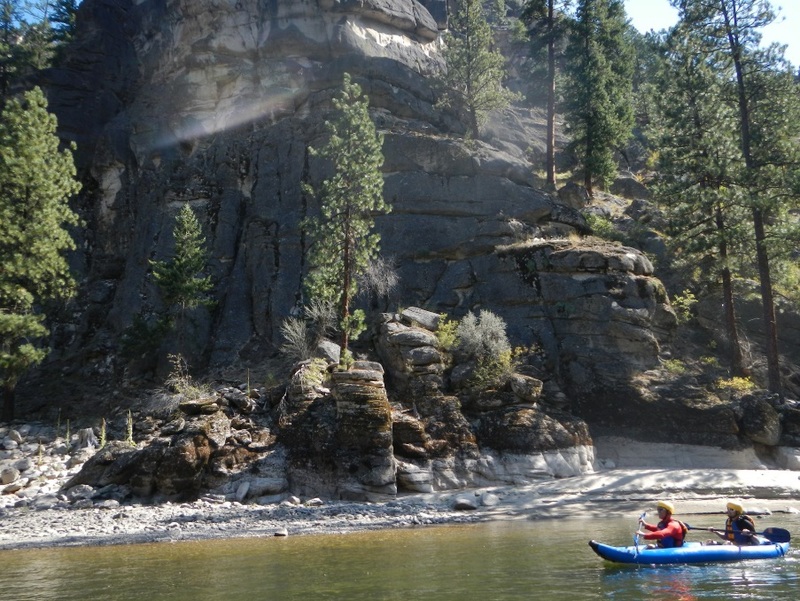 Our Main Salmon rafting trip will amaze you with white sand beaches and camp sites surrounded by towering Ponderosa Pines, flourishing wildflowers, and amazing wildlife viewing opportunities. Fishing and Hiking: Opportunities abound, rainbow and cutthroat trout are the fish of choice whether you prefer casting spinner in the ripples or fly fishing in the crystal clear tributaries. 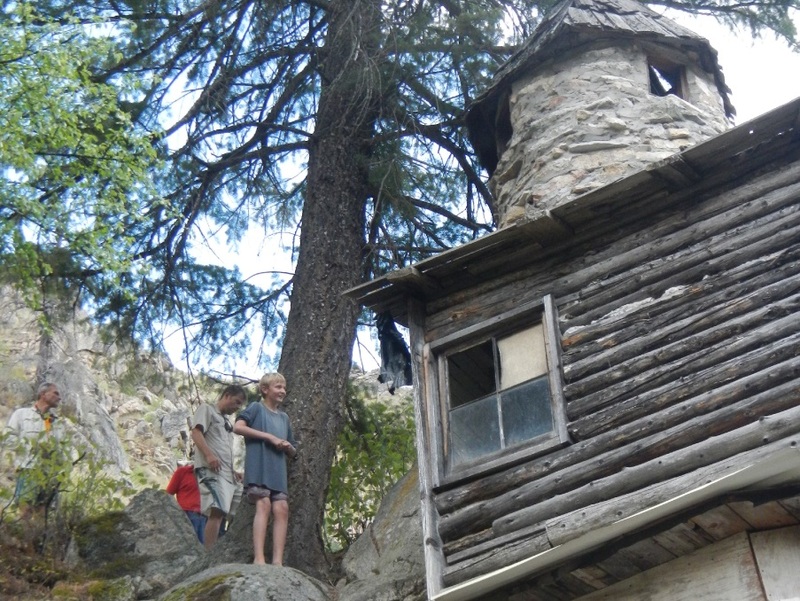 If you prefer to view the canyon from the trail, the Main Salmon offers exceptional hiking opportunities with short walks to pictographs and historic homesteads where the guide will share stories of the first river men, pioneers, miners, and Native Americans that once called this canyon their home. The River of No Return flows through a canyon that is five thousand feet deep and nearly two hundred miles long. Flowing freely with no dams it courses untamed through the largest wilderness in the lower 48 states. Draining the majestic mountains of Idaho, its water flows rival any other white water river as it cuts through a gorge deeper than the Grand Canyon, untouched by civilization through pristine wilderness. White Water on the Salmon is defined by exhilarating, giant roller coaster rapids and wave trains punctuated by deep green pools and raging white water coursing over large granite boulders. 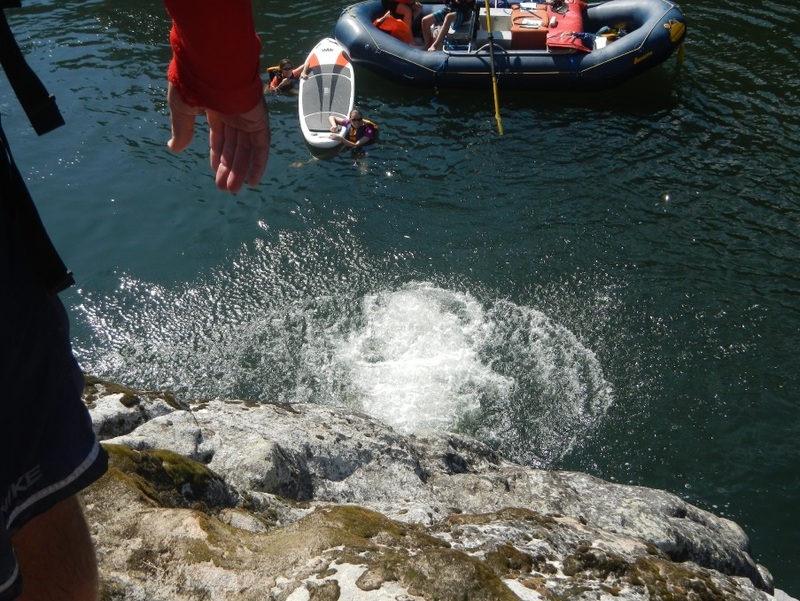 The Main Salmon offers a unique variety of options for the white water enthusiast of all skill and comfort levels, good for those seeking white knuckle, high adventure and excitement to those just looking for a little adventure while enjoying the wilderness, wildlife and history. We can create the perfect opportunity to relax in a raft or challenge the whitewater while paddling an inflatable kayak or stand up paddle board. Prepare to be Pampered Every day after your journey down the River of No Return your arrival at camp will be waiting with your tent set up, sleeping pad inflated and hot or cold drinks will be waiting. What a life! Deep in the Idaho Wilderness sits China Bar Lodge, a destination exclusive to MRO guests. 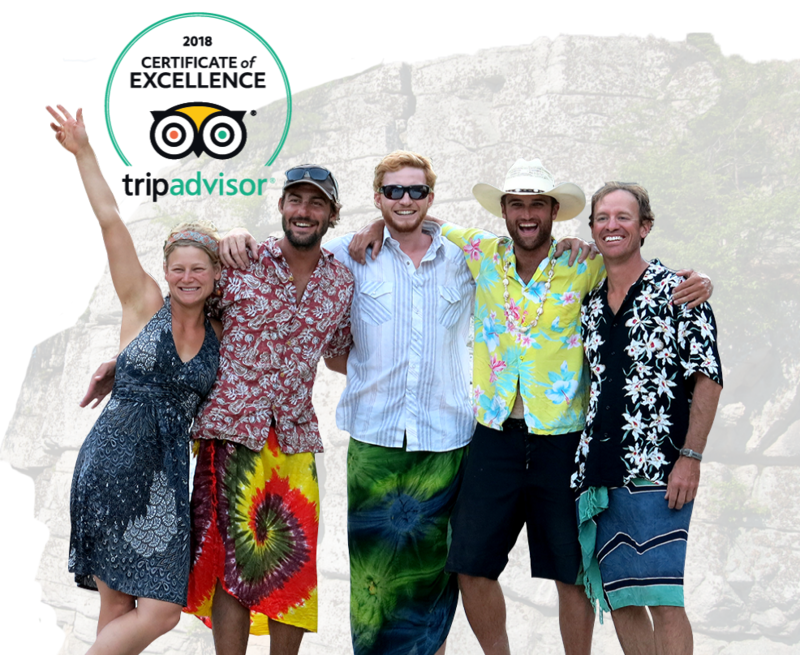 On our 6 day trip you will spend a night here enjoying the accommodations of indoor plumbing, a comfortable bed in one of our three guest cabins, and a fabulous meal provided by your guides and lodge staff to be served in our dining hall. 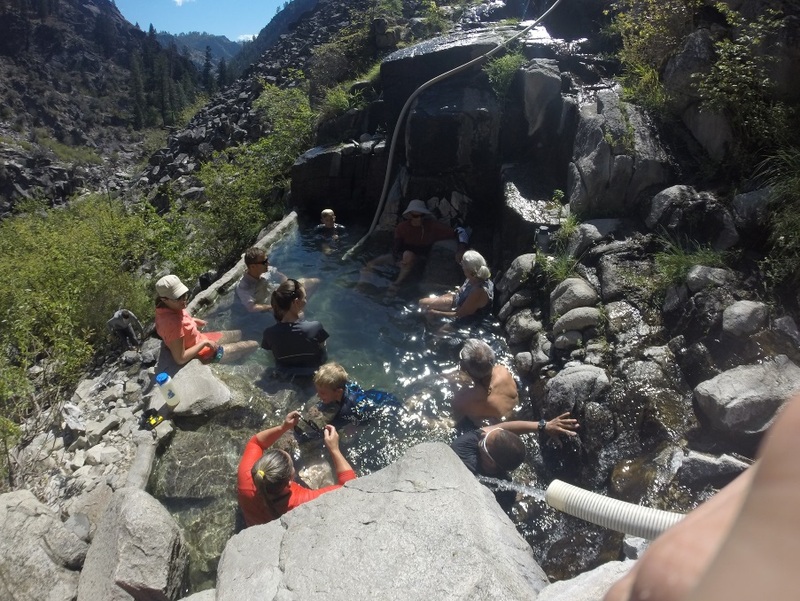 What better way to experience the Idaho Wilderness! *An additional $100 per person for air charter if flows don't allow jet up. With MRO your adventure starts in Riggins at the Mountain River Outdoor Center the night before your launch date at 8:00 PM Mountain Time for a pre-trip orientation. You will receive your complimentary MRO duffel and trip mug that you will keep as a souvenir at the end of your adventure. A personal dry bag and large camp bag with sleeping bag and pillow will be provided for you for the trip. There will be plenty of time to ask the guide any questions or purchase last minute items you may need for your trip at the Outdoor Center. The next morning you will be transported to the launch site where your rafts and guides will be waiting. 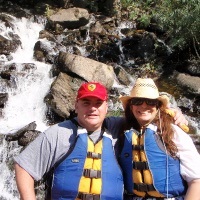 Day 1 -2 >> With MRO your 1st day is full of adventure with either a thrilling Jet Boat Ride up through the wilderness or an air plane charter flight from McCall to Salmon, Idaho. You will be at the launch site at Corn Creek early enough to get a few miles on the river before lunch. Just around the corner from the boat ramp are exciting rapids such as Kill-um, Alder, Rainier, Black Canyon and Devil’s Teeth will get your blood pumping and get you ready for more whitewater rapids downstream. Stop at Barth Hot Springs your 2nd day this is one of the best hot spring pools of any river trip. Watch as Big Horn Sheep frolic on the granite walls. Fish for cutthroat or rainbow trout, relax on the river and at camp and absorb the splendor of the surrounding mountain wilderness. Day 3 >> Through a mile deep, heavily-forested canyon, you’ll run Big Mallard, Elk Horn, Bailey, Split Rock, Growler, Ludwig, Dried Meat and many more exciting rapids. Explore Campbell’s Ferry and Jim Moore Cabins before getting to China Bar Lodge for your nights accommodations. At the lodge you will get a chance to dry out, get a hot shower and indoor plumbing. While you enjoy the deck overlooking the river you can also read about the history of the area once inhabited by Chinese miners. The food and the hospitality at the lodge will not disappoint either. Day 4-6 >> After a hearty breakfast at the lodge you will be back on the river for more fun rapids on your journey down to Buckskin Bills at five mile bar, known as the last of the mountain men. Lower in the canyon, thick forest gives way to steep granite cliffs. Large sandy beaches and glass-like pools provide favorite play spots for swimming and beach volleyball. Top off your final day with three of the largest rapids on the trip – Chittam, Carey Falls and Vinegar Creek. 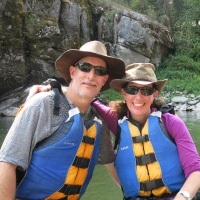 After a full day on the river and another gourmet lunch you’ll enjoy a scenic 28 mile shuttle back to Riggins, Idaho.